Two exams are required by the Graduate School as benchmarks toward the Ph.D. Information about the Graduate School requirements and guidelines for these exams, please see the Exams section of the Graduate School site. To qualify as a Ph.D. candidate, each graduate student must pass an “Admission to Candidacy” exam (or A-exam) before the start of the fifth semester. The examiners are the members of the student’s Special Committee and one other faculty member (to be chosen jointly by the student and thesis advisor). The purpose of the exam is to test the student’s level of knowledge and ability to design research strategies. This exam has both written and oral components. The written component takes the form of a grant proposal (See Written Component). The oral component is a defense of this proposal and you can expect that the majority of questions will be directly related to your proposal or to areas that are considered off-shoots of it. Your committee member representing a minor subject area, however, represents a special case. This person has the responsibility to ascertain that you have achieved competency in that subject area, and the topic of the research proposal may not afford a good opportunity to do this. We recommend that you meet with the person in question, and determine prior to the A-exam how he/she suggests you prepare. Some committee members representing minor subject areas may ask broadly-based questions on very basic concepts, whereas others may address a more narrow area and ask the candidate to be prepared for questions in that area. In addition to the evaluation of your proposal, the A-exam is the time when committee members will discuss and evaluate your performance in the laboratory. The examination consists of a written proposal for a research project on a student’s thesis project or on an unrelated project, and the student’s oral defense of the proposal (the actual A-exam). The format of the proposal should be either that of an NSF or an NIH grant request (15 double-spaced pages of text, 12-point type or larger-see below for details). It should explain how the research will answer some important scientific question, or (at least) how the research will rule out some possible answers to an important question. Individual members of the Committee may add special requirements to be included in the proposal; for example, a detailed protocol for mapping a gene involved in the proposal, etc. The major professor is permitted one reading of the proposal prior to submission to the exam Committee. The student must deliver a copy of the completed proposal to each exam Committee member no later than one week before the A-exam. At the A-exam, the Committee will question the student about various aspects of the proposal; but their questions need not be limited to the proposal and should assess the student’s ability to analyze and plan experiments in genetics or development, and their knowledge of genetics or development. Satisfactory defense of the proposal and related questions at the A-exam leads to admission of the student to candidacy for the Ph.D. Failure of the exam leads to one of the following: A one-time rescheduling of the exam; a decision to terminate the student at the Master’s degree level upon completion of a Master’s thesis; or dismissal from the program (at the discretion of the student’s committee). You need to take your A-exam by the beginning of a student’s fifth semester in graduate school (by September 15 of your third year). To ensure that the exam will be completed within this time frame, students will be asked to set an exam date in the summer after their fourth semester (June 15). Students who have not set a date by this time will have one set by the Director of Graduate Studies. You should consult with your committee about an acceptable date/time and reserve a room. 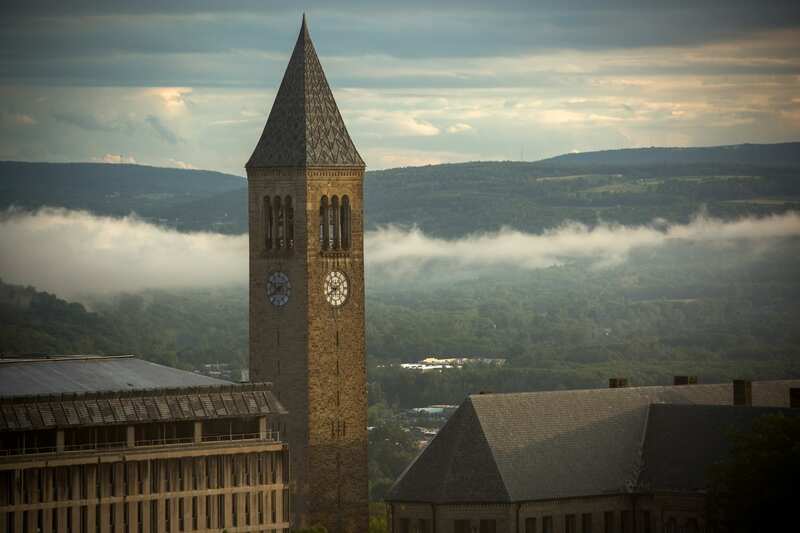 You must file a Schedule of Examination Form (available from the Graduate School web site at http://www.gradschool.cornell.edu/?p=11) by June 15. The completed Schedule of Exam form for the A-exam must be filed with the Graduate School at least seven (7) days prior to the date of the exam. This form must be signed by all of the members of the Special Committee, the Director of Graduate Studies, and one of the GFAs. Genetics, Genomics and Development graduate students have the option in their second year to take BioMG8380, Methods and Logic II (or SOS, Skills of a Scientist), taught by David Shalloway (with permission of Dr. Shalloway). This course provides a good preparation for the A-exam because assignments are given in which students write and critique grant proposals relevant to their thesis work. In addition, students are taught analytical and statistical skills and are introduced to career paths that are pursued by many of our graduates. Remember that, in addition to your Special Committee members, you need to ask one additional faculty member to join to read your proposal and attend the examination. This person is not officially a member of your committee, and should not sign the Schedule of Examination form or the Results of Examination Form. The additional faculty member does not necessarily have to be in the Field of Genetics, Genomics and Development; but if you decide to invite someone other than a Field member, please check first with your major professor. You should give a copy of your proposal to each member of your examination committee at least a week before the exam. It is essential that the Graduate Field Assistant and the Graduate School receive a signed copy of the Schedule of Examination form at least 7 days prior to the A-exam. That form must be signed by the three members of your Special Committee and the Director of Graduate Studies. You must turn in the Results of Examination form within 3 business days after the exam to the Graduate Field Assistant (GFA) and the Graduate School. These forms can be downloaded from the Graduate School web site at http://www.gradschool.cornell.edu/forms. In addition to the required forms from the Graduate School, the Field has a new “GGD A-exam Evaluation Form” that should be filled out by your advisor following the exam (see last page of the Handbook). The completed form should be turned into one of the GFAs along with the Result of A-exam form. Note: In accordance with the Code of Legislation of the Graduate Faculty, your A-exam is announced to – Field faculty. Please do not be concerned; Field faculty outside your, although free to attend by Graduate School rules, rarely, if ever do. Your proposal will describe the research you intend to accomplish as a graduate student. The proposal should be well-formulated and presented in sufficient detail that it can be evaluated for its scientific merit. Include sufficient information to permit an effective review without readers having to refer to the literature. Brevity and clarity in the presentation will be considered indicative of an applicant’s approach and ability to conduct a superior project. The proposal must be written following the format specified below. Abstract. This is a summary of the proposed work, with enough of an introduction to allow someone not expert in the field to understand what is planned and to appreciate its importance. This should be on a separate page and not exceed three vertical inches (single spaced). Sections (2) through (4) are not to exceed 10 pages (single spaced), including all tables and figures. Authentication of key biological and/or chemical resources (e.g., cell lines). See additional detail on NIH proposal requirements in this domain. Literature Cited. List all literature references. Each reference must include the title, names of all authors, book or journal, volume number, page numbers, and year of publication. The reference should be limited to relevant and current literature. While there is not a page limitation, it is important to be concise and to select only those literature references pertinent to the proposed research. The height of the letters must not be smaller than 10 point; Helvetica or Arial 12 point is the suggested font (Arial 11 point will barely satisfy this requirement). Margins, in all directions, must be at least 1/2 inch. Applicants should check the type size using a standard device for measuring type size rather than relying on the font selected for a particular word processing/printer combination. Figures, charts, tables, figure legends, and footnotes may be smaller in size but must be readily legible. In preparing the application, use English and avoid jargon. If terms are not universally known, spell out the term the first time it is used, with the appropriate abbreviation in parentheses. The abbreviation may be used thereafter. NOTE: Use the single spacing formatting above to make sure that your final proposal with figures meets the requirements. Send an electronic copy in this format to all your committee members. But then print out hard copies in double space format to give to the committee, since this makes it easier for them to read and write comments. You may use a PowerPoint presentation to support your written proposal. You may only have five (5) printable slides with limited animation. Up to five (5) additional slides containing supplementary data that is already in the written proposal may be added. These should only be used for clarification if those experiments are discussed in the exam. The oral component is a defense of this proposal and you can expect that the majority of questions will be directly or indirectly related to your proposal. The committee will likely ask you to explain, in more detail than the written format permits, background material and experimental protocols. The committee will likely also ask broadly-based questions on basic concepts, to ensure you have strong command of foundational knowledge in BMCB and your minor area(s). The committee member(s) representing the minor subject area(s) is particularly responsible to ascertain that you have achieved competency in that subject area. In addition to the evaluation of your proposal, the A exam is the time when committee members will discuss and evaluate your course work as well as your performance in the laboratory. Please bring a summary of the courses you have taken and grades earned to be distributed to the committee at the time of the A-exam. Note that the Field recommendation is that during the exam, the mentor (thesis advisor) should not ask questions or make comments except when asked by other committee members or when clarification is needed. The intended goal is to dissuade the mentor, who may have a vested interest in the outcome of the exam, from stepping in to justify the research or the particular experimental approach being used. The student is expected to fully defend the proposal by themself. However, the mentor should participate fully in the discussion of the student’s performance, after the student is asked to leave the room. In making this recommendation, the Field is aware that the Special Committee may run the exam in whatever way it deems appropriate. During the oral part of the A exam, the committee should devote at least 10 minutes to discuss Data Reproducibility. The 1/2 page section on the proposal should serve as a starting point for a more in depth discussion with the committee. demonstration of a command of knowledge/research in the field. Conditional Pass. This option will be exercised when the committee decides that some aspect of the proposal / defense needs to be improved. In this case, the committee will specify the condition(s) required for the student to receive a pass and the timeline for fulfilling these conditions. This must be done in writing and the Graduate School must be informed of the details. This can be done in the form of an email from the Special Committee Chair to the Graduate School Student Services team (gradstudserv@cornell.edu). Some examples of Conditional Pass:(a) The committee may specify that the proposal or that parts of it need to be revised within a certain time frame (i.e. improvement of writing; re-working of aspect of scientific research; addition of another section. The extent to which the major professor wants to be involved in the rewriting is up to him/her. (b) The committee may specify that the student carry out additional literature review, e.g. weekly written report of a paper, participation in existing journal clubs. This might be particularly helpful when the student appears to have weak command of the literature surrounding a particular area. (c) The committee may specify that the student complete a piece of research / a particular sub-aim within a certain time-frame. This is particularly relevant when the committee has some concerns about the ability and/or motivation of the student to complete the PhD program.Typically a few students in each class receive a conditional pass on their A-exam. If you are one of these, don’t be discouraged; simply work to fulfill the conditions that your committee sets, confident in the knowledge that fulfilling the conditions set will make your program stronger. Fail. inadequate. In that case, the committee will usually recommend one of two actions. If the committee has confidence in the overall ability of the student to complete the Ph.D. program, then they may recommend that the student retake the A exam. In this case, they will specify whether an entirely new proposal on a different topic is to be written or whether they expect a major rewriting of the original proposal. Note that the rules of the Graduate School specify that a second A exam cannot be scheduled earlier than 3 months after the first.If you do not pass your A-exam on the first attempt, don’t view it as the end of the world. If your committee approves, just knuckle down and gear up for a re-take in three months. There are plenty of students who easily passed on the second try and who did very well afterwards. If the committee has serious concern about the motivation or ability of the student to complete the Ph.D. program, it could recommend that the student complete a piece of research, write a Masters-level thesis based on that work, and then defend that thesis. Read several proposals written by former students. Read carefully the specifics on writing the proposal. Have a practice run. You can do this by asking several students to read your proposal and then act as examiners during a mock 2-hour exam. Please remember: everyone in GGD wants you to succeed. The Field of GGD does not have a formal Master’s degree program. In cases in which a student decides that the GGD Ph.D. program does not meet his or her needs, or in which a student is judged to be unqualified for the Ph.D. program, the Special Committee typically recommends that the student write and defend the research work done and receive a Master’s degree. The requirements for a Master’s degree include the coursework normally taken by first-year students, at least two rotations, one semester of teaching, and a research-based thesis (including a thesis defense). At a minimum, the Special Committee of a Master’s degree candidate is composed of a chairperson and a faculty member representing a minor subject. The student may invite a third faculty member to be on the committee if he or she chooses. To take the Master’s degree path, the student must submit a Change of Program form to the Graduate School, requesting transfer from the PhD program to a Master’s program. This form will then be sent to the DGS for approval. Defending a thesis successfully requires at a minimum that the student has obtained sufficient data to make a significant contribution to at least one research paper that has been submitted or published in a peer-reviewed journal. If this expectation is not met, the Chair (thesis advisor), with help from the Special Committee, must determine that circumstances beyond the student’s control that prevented the student from meeting these expectations. As with the A-exam, a Schedule of Exam form needs to be filled out and signed by your committee and the DGS and then submitted to GFAs for transmission to the Graduate School at least 7 days before the examination date. You are also required to provide the title and abstract for your dissertation and the list of your publications to the GFAs for the announcement of your exam. A section of the Graduate School website (http://gradschool.cornell.edu/thesis-dissertation) is dedicated to information about the dissertation process, including the Thesis and Dissertation Guide. You are highly encouraged to follow the process it lays out in planning submission of your thesis and graduation. The Graduate School Office of Academic & Student Affairs (http://gradschool.cornell.edu/academics/office-academic-and-student-affairs) also coordinates a number of workshops to assist you with thesis writing. Your thesis may be organized either as a single work (traditional thesis) or as a series of relatively independent chapters (independent chapter thesis). In the latter case, there may be a unified introduction and bibliography or separate introductions and bibliographies. There may be a unified summary, or the two-page abstract (required of all theses) can serve as a summary statement for all chapters. Some examples of thesis formats are shown below. The independent chapter option allows you to prepare your thesis as a series of papers in a format ready for publication, and chapters can be published before the thesis defense. The work in your thesis must be primarily, if not entirely, your own. If your published work includes co-author(s), you may cite the work of your co-author(s) in your thesis with appropriate acknowledgment, but you should not include the data of your co-author(s) in your thesis. An exception could be if data from a co-author are needed for clarity. In that case, the legend to the figure should explain this. You should acknowledge in the publication that the research is part of a thesis, and the Graduate School requires written permission from the publisher to include it in your thesis. Full collections of dissertations are maintained in Mann Library. There are also a collection of theses of graduates in the Fields of Genetics, Genomics and Development and Biochemistry, Molecular and Cell Biology in the Keller Reading Room, Biotechnology Building, Room G09. You can view these by asking someone in the MBG Department Office (107 Biotech) to let you into this room. Please ask to be let into that room. NOTE: Materials are NEVER to be removed from this room. The final thesis seminar usually is given immediately before or on the same day as the thesis defense, i.e. the “B” exam. However, in very rare cases, students may want to present the thesis seminar up to six months before the B exam, for example, to allow input from the special committee about final experiments. To schedule the oral defense of the Ph.D. thesis (B exam): at least seven days before the exam you must distribute your thesis to the Special Committee; the thesis must be complete in all respects and editorially acceptable for final approval. After filling out the Schedule of B exam form and obtaining the signatures of all members of your Special Committee and the DGS, bring it to the GFAs for their signature and transmission to the Graduate School. You should also provide the GFAs with the title and abstract for the thesis seminar, and a publication list including all manuscripts you have published, submitted or are in preparation. NOTE: Once the final thesis is submitted and approved, your status as a registered student ends, which means that your stipend will end as well. Plan accordingly. For International students, your F1 visa status will also expire. Talk to ISSO about OPT and other visa status options.